Home App Review iOS iOS App See Me? With great development in technology, life is also getting busier day by day. Now it’s our job to keep good liaison with this improvements. For example, as the craze of iPads and iPhones rises, the usage of apps is also increasing drastically. 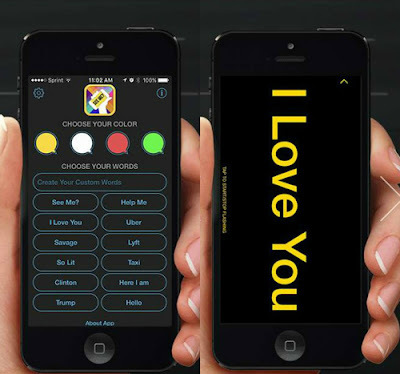 Using apps is in trend now so developers always try to provide the best apps that make your life more comfortable. We scouted through the App Store few days ago in a search for a unique app, one that offers something that no other app does. That’s how we’ve discovered See Me?, an incredible Social Networking app developed by Matt Hoffman and designed for both iPhones and iPads with iOS 8.0 or later. It is easy to use, with clean user interface, great graphics and even greater features. See Me? is authentic because it allows you to turn your device into a flashing billboard, which is very useful and fun for tons of situations, such as where you're in a crowd and your friends can't find you or when you're at a concert, a protest, demonstration, political rally, and even when you're waiting for a taxi and the driver can't find you. 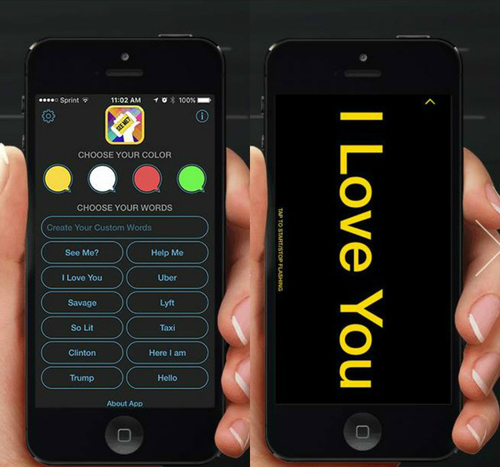 You can choose the color of the text, choose one of the pre-made texts or create your own. And that’s it, your message is ready for showing off! Simple and quick, right? If you want to show the world what you think, have all of this and much more, download the app for free from the App Store – it’s soon coming for Android as well! App Store Download Link: See Me?